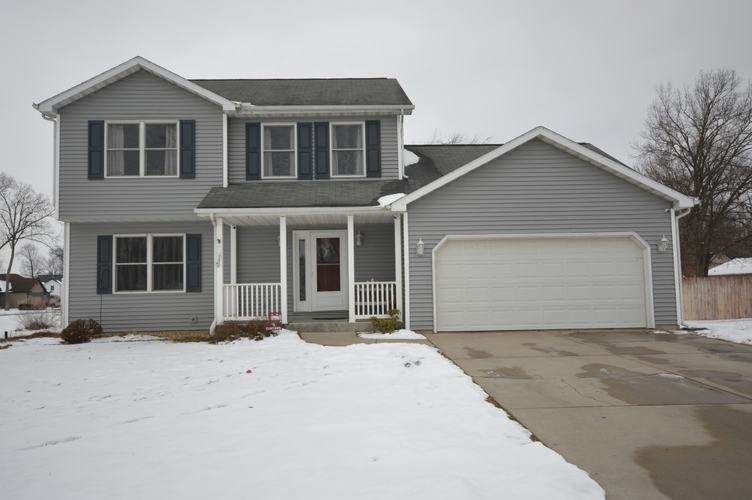 Hurry to see this beautiful home in Jimtown Schools! This lovely 4 bedroom, 2 1/2 bath home will not disappoint. All new carpet on the main and upper levels. Nice open floor plan that is perfect for entertaining. Large eat in kitchen that flows nicely into the family room. Main level laundry with 1/2 bath. Upper level boasts a Master en suite with 3 additional spacious bedrooms and a full bath. Lower level offers a large 2nd family/rec room with egress window, a playroom or office and a large storage area with built-in shelving. Outside you will enjoy the nice landscaped corner lot with irrigation system. Private fenced in backyard has loads of space to run, play or swim in the above ground pool. 1 year home warranty included. Conveniently located close to schools, shopping & dining. Call today for your private showing. Listing provided courtesy of Cressy & Everett- Elkhart.